A long, uphill Par Five to end the outward half. 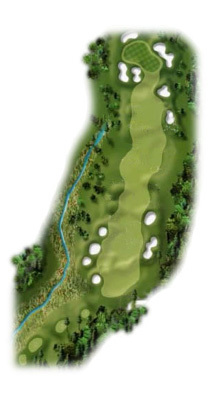 The first and second shots must be placed between the hazard on the left and out of bounds on the right. This green is very difficult to hold with anything other than a short iron.